I’m often asked a simple question: how much does it cost to become a ham? The answer, of course, is “it depends.” But there’s a pretty basic path that most hams follow, so let’s take a look at it. Second, you need to take the test. That’s $15, which you pay on the day of the test. You can find a place to take your test by looking at the list of exam sessions maintained by the ARRL. Okay, now you’ve got your license. What to do? The first thing you should do, and I recommend this so highly I consider it mandatory, is to join the ARRL. If for no other reason, their magazine, QST, is worth every penny. It comes monthly, is professionally put together, and is chock-full or articles aimed at you, the new ham. Further, membership enables you to explore the nethermost regions of the ARRL website, including its extensive list of product reviews. Membership is $39/year. Next, join your local ham radio club. If you’re in a metro area, you’ll have many to choose from. Here in sparsely-populated southwestern Colorado, it’s the Montrose Amateur Radio Club. Plan on paying about $20/year. Why do I consider this expense mandatory too? Because you’ll learn far more about ham radio from other hams than you ever will out of a book or magazine! Ah, yes, the radio. After all, you went to all that effort so you could talk with people on the air. In almost all situations I recommend that the first radio be a 2-meter or a dual band (2-meter/70cm) handheld radio, usually called an “HT.” Where do you get this radio? Well, I often use Ham Radio Outlet. I find the folks on the phone to be courteous and patient and willing to answer your many questions. There are other large outfits you can order from, particularly Amateur Electronic Supply, but there are any number of places. I strongly recommend you get a fairly simple radio. At a minimum it should be 5 watts, have rechargeable batteries, a detachable antenna, and a way to run it from 12VDC. I do not recommend getting a radio with too many features—you’ll rarely use them and they’re expensive. I just purchased a nice, basic HT from an outfit called PowerWerx. They sell the inexpensive Wouxun KG-UV3D dual-band handheld that meets all the requirements for a first radio. See my review here, though I do warn you you’ll want to get the programming cable too. So, with the programming cable, the antenna adapter, and the radio, that’ll be about $160, shipping included. Any sales tax is additional. You’ll accumulate accessories. You’ll soon want a magnetic-mount antenna for your vehicle, such as the MFJ-1402, $29.95 + S&H, and maybe you’ll want to participate in a ham club activity to build yourself a roof-mounted J-pole antenna. The parts will probably be about $15, but you also need coax cable to get from your radio to the antenna. A 25-foot cable with connectors already installed is the C&G HRO8X/25U, for $32.95 + S&H. (But beware—it’s further from your operating position to the roof than you might think!) Your handheld plus some accessories are great for casual home or mobile conversations. We’re up to $215.45, and that’s without accessories. To give yourself some leeway, I’m going to say plan on $350, which gives you an accessories budget. Many hams think the Technician level is just fine and have no desire to upgrade to General. If that’s you, you’re in good company. But you’ll accumulate radios. Probably your second radio will be a 2-meter or 2-meter / 70 cm “mobile” radio, so called because it fits into a car or truck well. But it also makes a great base station. You can use that same magnetic mount antenna on your car, and that same J-pole and coax. I have the inexpensive Yaesu FT-7800. It’s current incarnation is the Yaesu FT-7900, and it sells for $279.95 + S&H. Ah, but there’s a catch. Using a radio like this requires a 12-volt power supply. That’s a whole ‘nother story in itself, but plan on $100 to $150. Pay particular attention to how much noise the power supply fan makes. I have an MFJ-4225MV and have had to modify it because the fan is so noisy. Note: make sure you get a power supply capable of 20A or 25A continuous as you’ll undoubtedly want to use the same power supply with your HF radio after you upgrade to General. And BE SURE to get a power supply made for ham radio, as something you get at Radio Shack might generate terrible RF noise. Okay, we’re up to $765 easily. Why, you might ask, do I recommend that for your first few radios you purchase new equipment? Because you know it’ll work and you have a warranty. There’s a lot of great used gear out there, but until you have some more experience, it’s hard to separate the wheat from the chaff. Stick with new for the first HT and the first mobile rig. You can, of course, go on from there. You may want a fancier antenna. Or you’d like a speaker-mike to go with that handheld. And so on. At some point you’ll want to upgrade to General, which means privileges on HF, which takes a different radio. I’ve posted on HF radios from ICOM, Yaesu, and Kenwood, all of whom offer some great first HF radios (as well as second, third, fourth, etc.). And, of course, an HF antenna…. So, to answer the basic question, how much does ham radio cost? Answer: it costs as much as you want it to cost! This entry was posted in Ham Radio blog entries, Product Reviews and tagged 2-meter radio, 70 cm radio, ARRL, emergency communications, first antenna, first mobile rig, first radio, ham radio, ham radio exam, handheld radio, handi-talky, HT, icom radios, radio accessories. Bookmark the permalink. 22 Responses to Ham Radio: How much does it cost? Okay, I passed the technician test and almost passed the general today even though I only studied for tech. It’s all I can do to hold back from ordering equipment tonight. I need to start slowly, one step at a time. By the way, I’m 72 years old and just starting on this adventure. I have a medical technology background from many years ago, so I have a penchant for technical things. But I tell all those considering ham radio, if I can do it with a bit of studying, so can you. I met a number of experienced hams this week while attending the classes, (or maybe I should call them, “elmers”). Our instructor was fantastic! There were lots of great recommendations for initial equipment. I’m taking your recommendation and joining ARRL, looking forward to their monthly publication to read the reviews on equipment. Thanks for your advice and I’ll be reading more as time goes by. Cathy, just one word: persevere! Thank you for your article. I’m scheduled to take a series of amateur ham radio classes with the Technician Class Amateur Radio certification test given at the end. It’s being sponsored by our county emergency management office. I understood that the start-up costs are minimal, somewhere between $250-400 if buying new. Your article gave me the details I need, approximating costs based on how far you want to go. I’m not savvy when it comes to the jargon associated with radio transmissions, megahertz, etc, but I have a penchant for anything technical. Being retired, I’ve focused some of my time on preparing for emergencies. I think this is a good step to enhance our preparations for our family. So, I’m counting on jumping into this with both feet and successfully getting this going. Any advice for an old lady? Since Dave posted his original estimate in March of 2011, many of his prices shown have decreased dramatically. For example, they are many different study guides available for the Technician Class license that are now free by simply using your existing computer and doing a simple Google search. The test “can” cost up to $15.00, but many clubs offer the testing for free if you attend their local hamfest. I’ll leave his $15 in place in case you’re not near any of the clubs that test for free. Dave promotes the idea in his posting that joining the ARRL for $39 a year is a great idea, but only around 20% of the licensed hams in the United States do, so I hardly consider it a a needed requirement, but I do agree that if you want a monthly magazine chalked full of ads and (higher than usual) technical articles, it’s a great choice, but is it really needed? Joining a local club (if one is near you) is a good idea, plus your dues usually help support the cost of the club’s repeater (which I’m sure you’ll want to use). Yearly memberships are still in the $20-$25 range (for most clubs). Where his cost estimates go completely “off” are due to the age of his estimates, the sources used, and the lack of internet sources for radios back in 2011. As an example, his choice of a Wouxun KG-UV3D radio can be purchased for $99.99 (or less) at sites all over the internet, but an even better 10 watt dual-band handheld (the TYT TH-UV8000D) can be purchased for $79.95. (Yes, I’m aware that 4-5 watt Baofeng radios are available for even less, but I generally don’t recommend them to new hams as they are the most difficult to program and don’t work very well in high rf environments). Magnetic antennas for either handheld are now available for $19.95, so your total (10 watt handheld and a magnetic antenna) can be purchased for less than $100, not $160. The same can be said for his mobile radio estimate. The Yaesu mobile radio he sites (the FT-7800) has been discontinued and replaced by the FT-7900, but that radio only shows one band (or frequency) at a time. Most hams today want to be able to see (and hear) two bands at once, so a better (and less costly) choice for many is the TYT TH-7800 mobile for $199.95 (not $279.95). If you don’t “need” 50 watts of power, even less costly 10w or 25w dual-band mobile radios are available (some for less than $100). The only time you “need” a power supply is when (if?) you decide you want to use your mobile radio indoors. If you do, I agree that a 20-30 amp supply is a good idea. A reasonably good 30 amp switched power supply can be had for around $100. Now you’re up to $440 (or less) with everything (not $765), plus several of the items listed (the mobile radio and power supply) could easily be added later as funds permit. I didn’t realize that when trying to become a ham radio user you have to take into account the cost of a training book and a test to become certified in addition to the actual radio. I was also unaware that there are costs to be a member of a ham radio club where you can talk to people from all over the world. 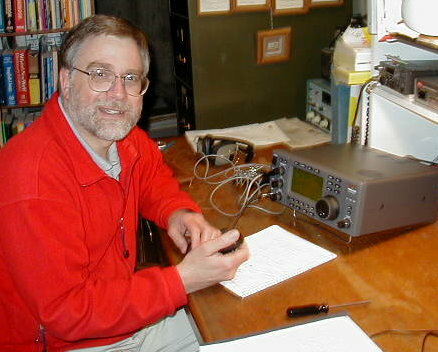 I think that it would be fun to have a ham radio to talk with different people. I think that it would be a very safe and fun hobby to have. No FCC fees at this time. However, the volunteer exam fee is $15 per session. I am nearly blind and my not be able to read the meter to dip the final. I have lots of hf gear, tuner, kilowatt amp. I have the beam but needs to be put together. I need a fifty foot new mast. And my question is… how much would it cost to have some sighted person do some soldering of cables and power line… and put up the tower? Love your videos, but I think you may be scaring away some people with your costs to get started. I’m using a simple handheld Baofeng ($35) to join imy local club’s net meetings, and the club does not require a membership to do so. To get on the air (using the club’s repeaters) my costs were about $75. Of course I joined the club, and ARRL, and I’m now working towards my General license, but just to get started you really don’t have to spend much at all. And, the social aspect of my local club was well worth the price of admission (Ski Country Amateur Radio Club). I’m moving onto a boat and would like to have aboard. What kind of setup would you recommend? I will be sailing abroad so would like more then vhf. 144/440. Check the specs to be sure. Found this very informative, been thinking of getting in to ham. With the Wouxun KG-UV3D dual-band, would that be the 144 / 440 MHz or the 144 / 220 MHz? Thanks. Jason, thanks for the update! Indeed, the advent of the new Chinese radios has dramatically lowered the entry cost. I have a couple myself—a Wouxun and a Baofeng. They work just fine. 73! While you can surely spend that much money on radio gear, I find that I’m good to go with $50 with a Baofeng UV‑5R ($35) and an upgraded antenna (<$15) for HT use. For mobile use, add a nice Diamond magmount (<$40) and a battery eliminator (<$5). Oh, and a USB cable for $15 if you want to mass-change settings often from the PC, but usually local clubs have one you can use during the meeting and most folks don't change settings that often. Love the videos and advice. Finally found a website with the information I needed to get started. Thank You from Greeley, Co. Thanks for a great article full of info. Very new to this hobby, they just posted my callsign today. The old guy is excited. Thanks for your post! It’s been frustrating chasing down a rough cost estimate to get into ham radio. I realize that “you can spend as much as you want” is the correct answer, but doesn’t help someone like me who has no concept of what a very basic receiver costs, or all the little things you might need to get. I appreciate the ballpark answer. Thanks, that is a great description for interested people like me.